Let’s face it, the vast majority of people who offer 3D scanning services are surveyors. This tech came from their industry and it’s perfectly reasonable that they should be the main providers in this, the early stages of the industry. The problem with this is that with the exception of a terrain map or something similar most surveyors wouldn’t know their AutoCAD from their ProE when it comes to 3D models let-a-lone a model for a whole production facility. There is nothing wrong with this. It is to be expected as it is not their normal field of expertise. The problems arise when they say yeah we can provide a 3D model, because their software can produce it, but not understanding what it takes to work with said model downstream. It doesn’t help if the client agrees to paying for said model not knowing what kind of file format they need to work with or what kind of file formats can be delivered. Not all 3D files are created equal and just because it can be delivered in a native format for your drafting or modelling software doesn’t mean it will actually be useful in that format. And this is before you take into account that to work with the model you might need it built so it is broken up into different layers, groups, families, areas or disciplines and how best to do that. How will the surveyor know that unless they have an intimate understanding of working with this kind of model themselves? Problem Two: The Accuracy of the Initial Scan. The reality of the recent software and hardware advancements is that it is now easier than ever to own and operate a HDS Scanner. Meaning that the chances of finding someone who is more interested in pumping out the work instead of delivering accurate high quality 3D information is higher than ever and growing rapidly. Most people have heard the saying bad data in bad data out (or some form of it). This applies particularly acutely to 3D models done from scan data. There is a very long list of ways you can stuff up a 3D scan job. Most of which we have run into. Some of which we have missed until we have gotten into the bones of detailing the job. Thankfully for us we were able to correct these without the client ever knowing because we did the scans and could redo them or redo the registration to make it right. Often at great expense to us in lost time and ultimately money for that job. We have learned from these errors and now have strict quality controls in place to make sure they don’t happen again. What happens if you can’t do that? Or the person you get to do your scans is inexperienced and doesn’t have those quality controls in place. Who foots the bill for the correction? You might say the contractor that did the scans, but what if they are a fly by nighter or simply can’t afford to pay to fix the error? 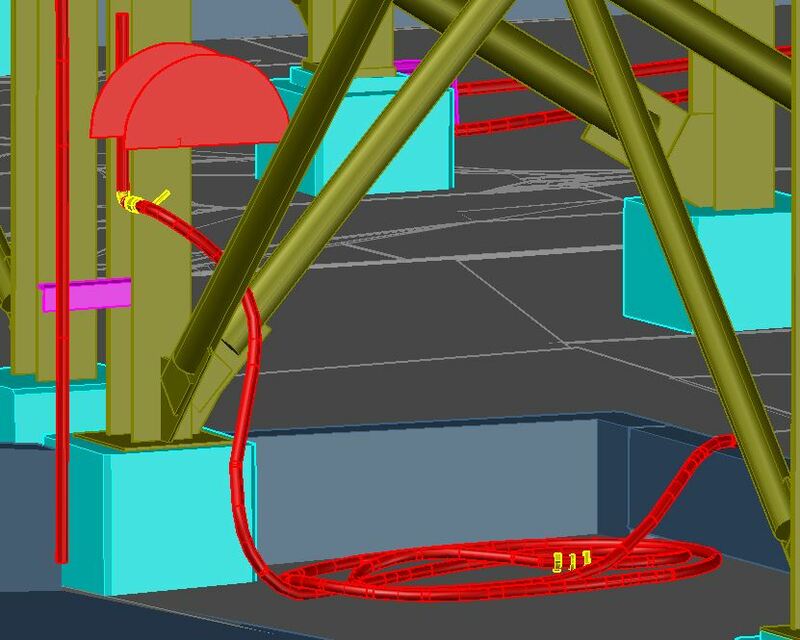 What happens if the original scan job isn’t done correctly, you have a 3D model done from that scan data for you and no one picks up the problem until the newly designed thing is going into place doesn’t fit or work as expected due to the errors in the 3D model done from the bad scan data. More importantly, if you are a facility manager and you hand that 3D model to a 3rd party contractor and ask them to do their work based off the provided 3D model, and it is wrong, who is to blame and who pays for the corrections? Far more importantly than the time and financial costs, what damage does that do to your reputation? Problem Three: 3D models From Scan Data Aren’t Really That Accurate. There I’ve said it. Again, I know this doesn’t sound great coming from a scan service provider and 3D modeller, I also know this will draw some hate from some people, but hold off the slagging until you have read at least this whole section to see where I am going with this. Stick with me, there will be pictures and stuff. To understand what I am getting at here, you first need to understand how the software generates a 3D solid off a point cloud. Now this could get really “techy”, but no one wants that so I will keep it simple and general to try to keep it light and (hopefully) clear. There are some insanely intelligent people out there who have written some amazing bits of software code that interpret a point cloud and basically do one of two things to create a 3D model. One create a surface mesh or two create a planer mesh. While they are kind of the same thing, they are massively different in terms of accuracy. 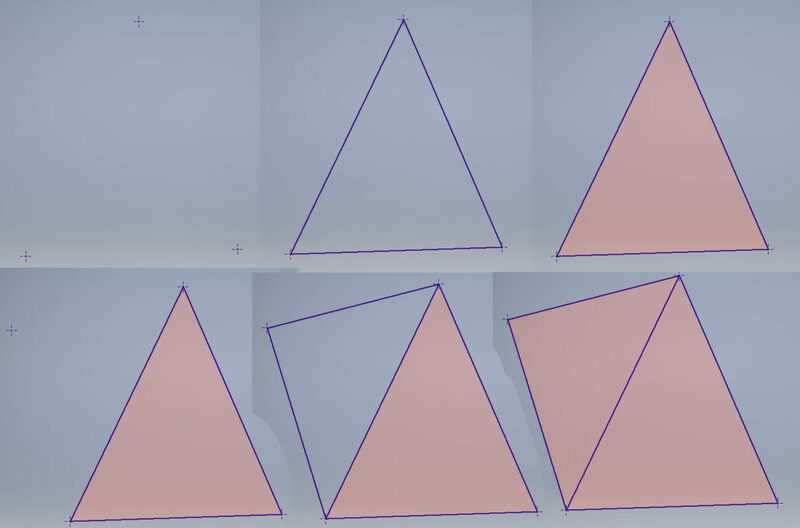 The first is a process where an algorithm takes a group of 3 points and draws a line between each point to create a triangle and then applies a “face” or “surface” bound by the 3 lines. It then uses two of the 3 original points and finds another point near by to make another triangle and then keeps repeating this process until it is out of points. There are dozens of different algorithms out there to achieve this same basic goal, but they all effectively produce the same end result, a surface mesh. Even though they can produce vastly different results off the same data set depending on the user input and how it interprets the data. If you didn’t know much about 3D modelling you could be forgiven for thinking that this would be a great method because if you have millions or billions of points, then how could it be wrong or inaccurate? The first and biggest problem when using this method is the size of the files. If you are talking about HDS scan data of a production facility, you are typically talking about hundreds of millions or billions of points. Meaning if you want the accuracy you end up with hundreds of millions or billions of surfaces. Most of the time these surface models are only able to be handled by a handful of different programs, most of which are useless for doing anything with other than viewing or working with the mesh itself. If you were to put a model like this into a drafting program like Inventor or Solidworks you can forget about being able to use it for any 3D modelling let-a-lone a drawing as the software was never designed to handle a 3D mesh of that size. If you wanted to reduce the number of points and by default the number of surfaces, you start to sacrifice accuracy by not using as many points. To get anything useful in to a drafting program you must sacrifice a LOT of accuracy. Too much for it too actually be useful. Even then surface models are not typically great in the drawing environments of these kinds of software. The reason for this is that if the software even shows the mesh in a drawing, a lot won’t, they have to try and show every single edge of every single face because that’s the way they were programmed to run. If you have one million faces that’s roughly 1.5-3 million lines one drawing view has to try and show for the mesh alone. That’s going to take some time for the computer to work out. Which makes it unusable rendering the whole process useless. So that leaves us with planer meshes. 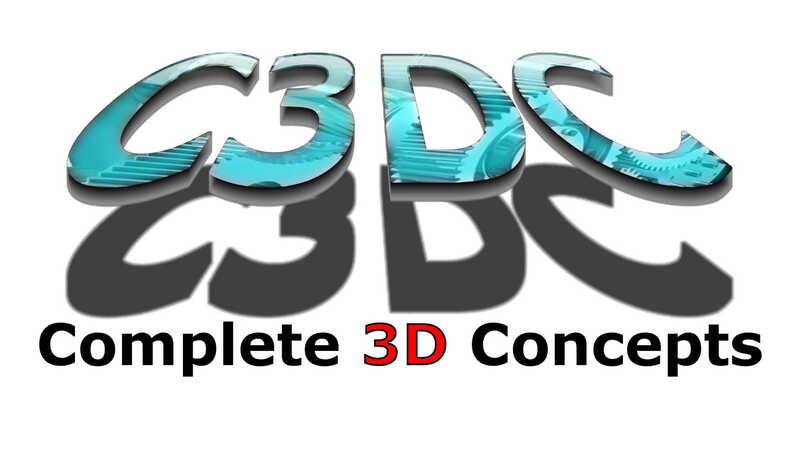 While most 3D programs can handle these fairly easily, they are the extreme of the reduction in detail mentioned above. The basics of the way this works is that the user typically picks a minimum of 2 or 3 points on a “surface” of points. (Think wall or floor.) The software then looks around those points for others that are within a margin of error of the same plane. It then uses those points to calculate the best average of the points and place a “plane” or “surface” in that average of points. The plane is typically made up of 2 or slightly more triangles but usually not a great deal. If you are creating a 3D solid of something like a column, beam, hollow section or tank, the software does this calculation based on the profile within the point cloud and does a best fit of that profile to the cloud. Sales guys (myself included) are typically very quick to point out that the average of millions of very accurate points in a point cloud created with a HDS scanner is more accurate than you could measure normally. Which is in actual fact true. But like everything there are exceptions to the rule. Take something like a sheet of roofing iron. When scanned you get a result like this. If you were to pick 3 points on the peaks you get this result. If you were to pick 3 points roughly in the middle of the peaks and troughs you would get a result like this. And obviously if you were to pick the points on the bottom it would be a result like this. automated extraction of 3D data from scan data. It can often take a few goes to get a decent result or you have to line it up manually by eye. Which is fine for a lot of cases, but is easy to get wrong if you’re not careful. Who’s to say which one you get delivered if you’re not doing the modelling yourself? As I just mentioned, if the automatic processes don’t quite match the 3D information to the point cloud properly, in a lot of programs it is possible to manually move and modify the 3D object. Some programs do this better than others, but all are subject to the hand and eye of the person doing the aligning. While this can still be well within margins of acceptable error and even hard to measure that error, it isn’t hard to be outside of that margin either and not know it. As someone who has done the scanning and the modelling, I know from firsthand experience how hard it can be at times to make out what things are in the point cloud. For this reason I am always very sure to know what will be getting done with the scan data downstream and if modelling needs to be done I pay close attention to what needs to be remodelled on site and even take photos so I know what I am modelling is correct. Due to our high labour cost here in Australia and the incredibly high cost of the software to do this modelling, when we talk full facility models, most of the time we are talking off shore processing. While I have heard some great success stories of full or partial facilities being remodelled, I have heard far more horror stories. The other thing is that it isn’t so much about who is doing the modelling as it is about how hard it can be at times in a cluttered facility to make out what is what in the point cloud. If I struggle with it sometimes and I have been to the site, how is someone on the other side of the planet going to go? Add to that they are probably being paid a pittance, likely only doing it for the money and not because they want to do it or want to do a great job of it, likely have little to no training or experience working with 3D models outside of what they are doing, or all of the above. How good will the work be? Problem Five: Nothing is Straight or Aligned. The fact is, when we have done jobs in the past (pre 3D scanners) we have gone and taken a few measurements with a Disto and tape measure and then come back to the office and recreated that environment in our perfect 3D world. We make sure everything is straight and parallel. We then work within that perfect 3D world to design and create our new thing and do our drawings. For the most part it has been accurate enough and works fairly well if done correctly. 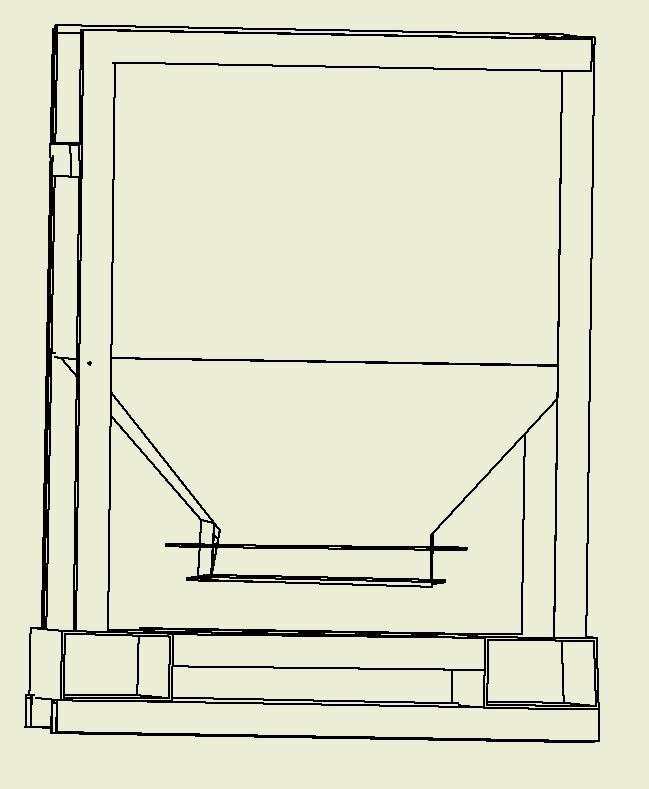 The inaccuracies of this method were often mitigated by things like adjustable feet and site welded joins in strategic places. However, we all know that we live in a world where nothing is straight, parallel, perpendicular or a perfect geometric shape. There is a long list of reasons for this but it is a reality of life. When we go out and scan an existing facility, no matter how new or old, we are capturing that reality to the millimetre in all its uneven out of whack glory. We then take that back to the office and do a 3D model based of the best average of those uneven points. We then take that uneven, averaged 3D model and put it into a 3D modelling package and expect to be able to easily work with it?…..
Sure, we can work with it and make things fit, but it isn’t easy, it likely isn’t as accurate and it isn’t fast which means it isn’t cheap. Again, this defeats the purpose of the scanning in the first place. Add to that that most 2D drawing environments don’t handle 3D data that isn’t perfectly aligned to the drawing plane very well, and you have yet another recipe for disaster, time wasting and ultimately lost profits. Problem Six: The Model Will Almost Always be Missing Information. With the combination of rapid pace of growth, emergency repairs to keep things running and the “just get it done” attitude of a lot of places, it is almost a given that there will be missing information in a model done from scan data. I have been to a site to do a scan, returned 3 weeks later for another job, and there was a huge pipe running right through the middle of where we were doing our project. It was put in as an emergency workaround, but worked so well that they had decided to leave it there permanently. This kind of thing goes on all the time and could be very costly in the right circumstances. The bigger the facility the bigger the risk. This is an extreme example of the potential risks though. The changes will have to all be added manually now before the new project starts. Negating the fact it wasn’t done in the first place and likely costing a lot more than if it were. You have to get the facility rescanned and remodelled. Even if it is only partially, that could be quite difficult and expensive. The 3D model will not be used at all and all existing work and money spent will be for naught. None of which are particularly attractive options. 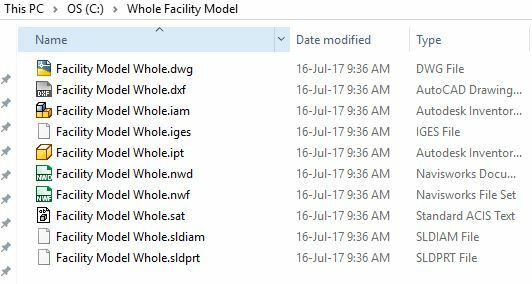 Problem Seven: Full Facility Models are Quite Difficult to Work With. 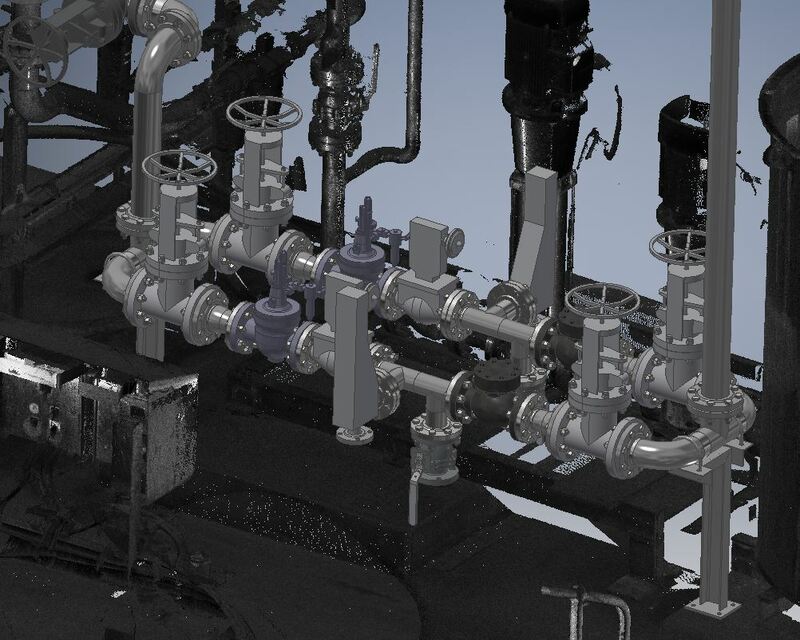 One of the big expectations is that people can get their facility modelled entirely off point cloud data and then it can be used down the track for all their future projects. While this is possible, provided you avoid the issues above, it really isn’t as easy as getting the model done and then working off it. When working with huge data sets like those of entire facilities, the job really needs to be approached with an “end to end” and “life of the facility” mind set. Otherwise you end up with either a single huge file or a huge number of files, that no one can work with easily. There is a long list of reasons for this, but the biggest one is this; there is a hell of a lot of background work that goes into making a 2D drawing off of a 3D model that you will never see or understand unless you know what you are looking at when you view the 3D model and 2D drawings in their native program. The ultimate end goal in 99% of cases for using 3D modelling is still a 2D drawing. If you are starting with a 3D model that isn’t done in a fashion that is conducive to doing that 2D drawing, you might as well start from scratch in a lot of cases. I have worked on a lot of sites on a lot of different projects in the last 10 years, and it is a fair comment that there are not a lot of people out there with the skills and mind set to pull off working with facility wide 2D drawings let-a-lone 3D models. This makes one of the other big considerations, will anyone be able to work with the model down the track? There is a segue here to the value of a well rounded and strategic approach to CAD management that I will do my best to avoid, but things like this are never as simple as “just getting a model of the facility”. Careful consideration needs to be given to not only what the “physical” 3D model looks like, but how you will work with the model and what information needs to be in it. What are the main programs you will be using it in. What programs your main contractors use and will using one type of software greatly limit you to the contractors you will be able to use in the future. Arguably the most important question though, is how easy will it be to transfer your 3D model to other people and contractors for their use in helping you upgrade and maintain your facility and then them to transfer that information back? By now you’d be forgiven for thinking why bother with scanning in the first place? But I need to remind you we are focused on making a 3D model from scan data here. The scanning side of things is almost infallible. In fact if you are thinking why bother, you are actually starting to get my point here. You shouldn’t bother with the 3D model from the point cloud. It really isn’t worth the money. Ok, all jokes aside, these are the very real consequences of creating 3D models of scan data. Unless the person/people/business creating the model has strict QA procedures in place for both the scanning and modelling you have no way of being sure that the model is accurate. And as we have seen, the reality of using the data, even if it is good, is not that great of a prospect. It is worth noting that not only can all of this happen, but it does, and quite frequently. We are now already onto our 4th client who have either supplied us with 3D models done by others that have major errors or they themselves have worked with 3D models/scan data produced by others that is not trustworthy. Not being one to leave you with an impending sense of doom if you have already started down this path and I certainly am not wanting to leave you with more questions than answers. I wish to provide you with what I feel is the answer to all these issues and hasn’t let us down with all the jobs we have done to date. The Answer to the Problems. The good news is there is a way around all of these issues. And it is really simple and cost effective. Just use the scan data and model your new things within it. 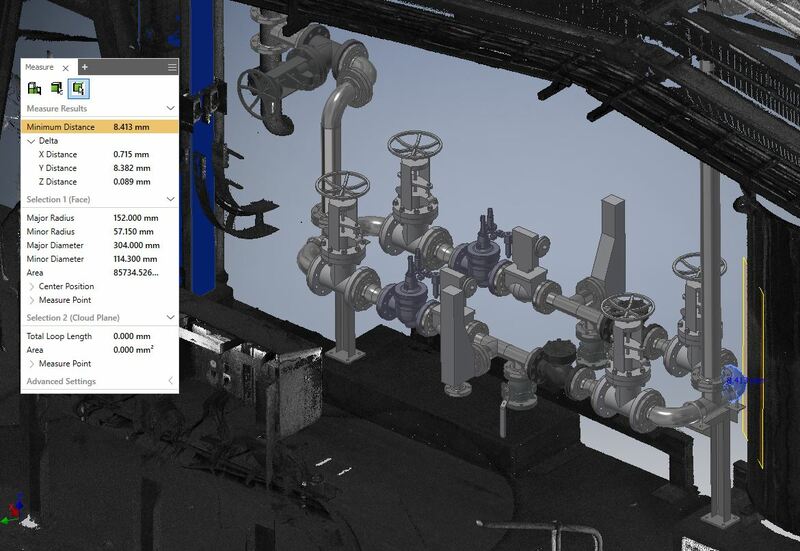 Why waste the time and money on remodelling the existing information when it is right there for you in point cloud format to work directly with? The reality (last reality check I promise) of the latest software versions is that they will work far more efficiently and effectively with a large point clouds (scan data) then they ever will with a large 3D model. It sounds weird, but it is true. 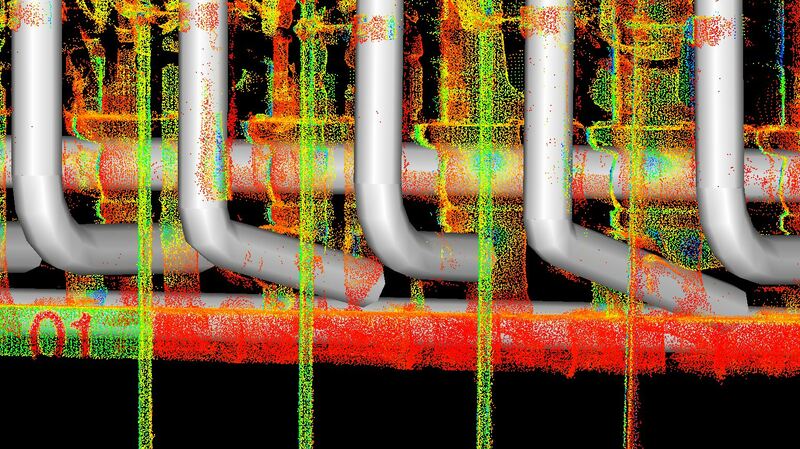 Most software can now handle large point cloud data sets and the registration software for most, if not all scanners, is capable of outputting files that can be used directly with most of the main stream drafting software. So no issues with file formats. By working with the scans directly you get higher accuracy because you can see where the walls, floors, ceilings, structural elements are, not the average of those points but the actual thing. You can see if something is buckled, bowed or twisted, by how much and if you need to fix it or if you can still safely work with it. This also allows you to model more closely to the correct size required on the first attempt and not have to allow as much of a “safety factor”, meaning less time and issues during installation, meaning cheaper installs. But more than this, you can see small cables, fittings and other things that might be otherwise overlooked or omitted in the 3D remodelling process and cause issues later down the track. If nothing else, as you are designing you can see it and ask the question. So this work flow also negates bad modelling practices and reduces risks of small but important details being missed. 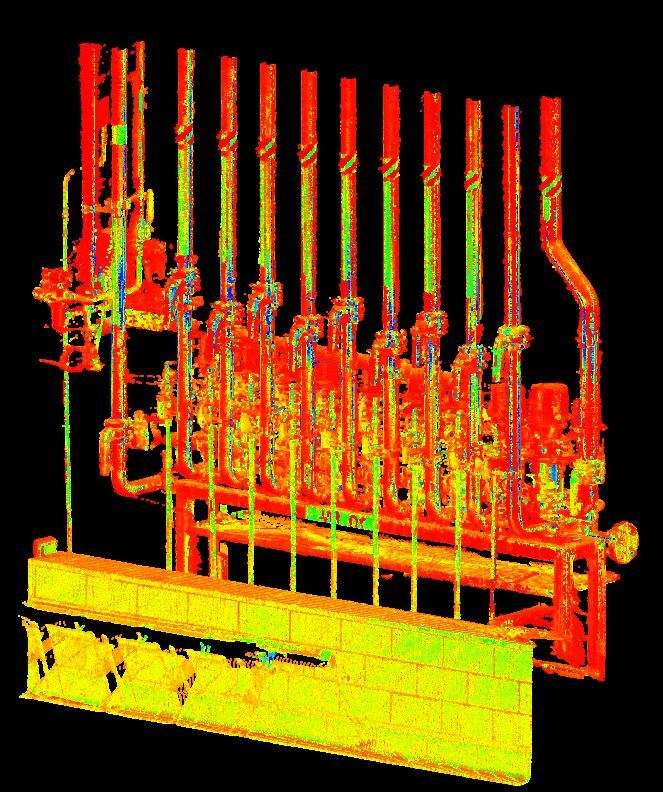 While working with the point cloud doesn’t remove the issues of things not being straight or aligned, it does put the power of how to deal with that misalignment back in the hands of the people doing the design and drafting work. This is a very important factor not only for making decisions on acceptable error, clearance and misalignment of the new vs old, it makes life so much easier in the downstream workflows of doing the drawings. This effectively speeds up the whole process of the design and drafting as well, saving loads of time and ultimately money. If for some reason you do need to see some of the existing facility in the 2D drawings, as you often do, it is actually quite quick, easy and just as accurate to extract this information yourself in your native drafting software. This means that the money being spent is only on what you need and not every little detail that you don’t need in a drawing, but do need to do the job. Hose Remodelled. Why? and How Much did this Cost the Client Across the Whole Site? If the scans are done for the project before anything else, you will always have the most accurate information of the site for the project. So no missing information. Sorry, but nothing will stop maintenance form unplanned additions after the scans are done. 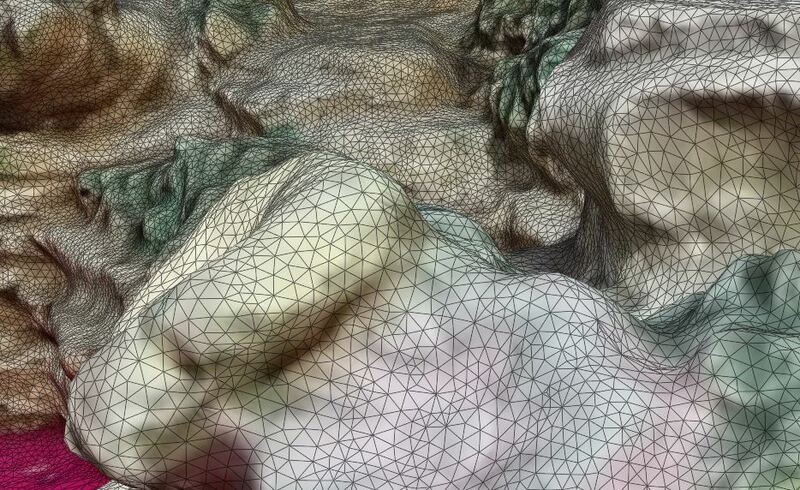 Lastly, by working with the point cloud directly you have eyes on it in great detail. While working with point clouds you are constantly slicing and clipping the cloud. It is really obvious when 2 scans don’t line up properly when you section through it. If this is spotted by someone who is working closely on the project, rather than someone on the other side of the world who couldn’t careless about your project or might be to scared to raise an issue for fear of losing their job, then they can raise the concern and possibly get the problem fixed with little to no hassle or cost. While this shouldn’t happen, nothing is fool proof and missing a very slight misalignment with one or two scans is fairly easy to do but can cause big problems depending on the data set. I also haven’t touched on a great deal of other issues here, but these are the biggest and most common ones that we come across all the time. Every time I see one of these huge models I cringe at the thought of how much it must have cost the client and how much it will cost them down the track. Please do yourself, your company and your contractors a favour and don’t get your whole facility remodelled from 3D scans. Save yourself a fortune and find companies that can work straight with the scan data. Previous PostPrevious Autodesk License Debacle – What Should You Do? Next PostNext There is no such thing as common sense.